On October 1st, the U.S. Supreme Court officially began its 2018-2019 session. Due to delays in the U.S. Senate confirmation of a new Supreme Court associate justice nominee – U.S. Circuit Judge Brett Kavanaugh – only eight justices will be delivering opinions at the start of the term. The Supreme Court has agreed to hear over 40 cases this session, many involving state and local governments. Mount Lemmon Fire District v. Guido decides whether the Age Discrimination in Employment Act (ADEA) applicable to private employers also covers government subdivisions with fewer than 20 employees. The SLLC filed a brief in support of the petitioner, Mount Lemmon Fire District, who claims the ADEA is not applicable to state and local government employers with fewer than 20 employees. Weyerhaeuser Company v. U.S. Fish and Wildlife Service contemplates whether the U.S. Fish and Wildlife Service (FWS) can designate private, unoccupied land as critical habitat for the dusky gopher frog under the Endangered Species Act. It also weighs the economic impact of specifying an area as a critical habitat. The SLLC submitted a brief asking the court to review the FWS standards for evaluating the economic impacts. 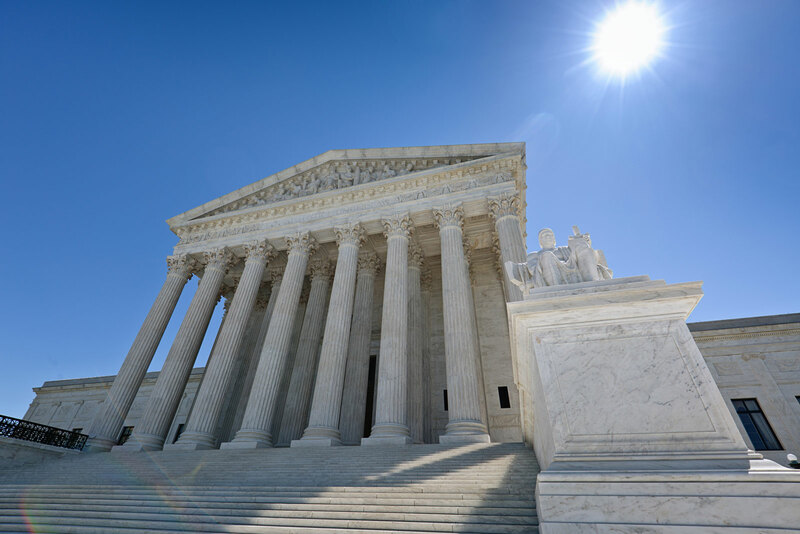 Knick v. Township of Scott, Pennsylvania considers whether the Supreme Court should reconsider part of the Williamson County Regional Planning Commission v. Hamilton Bank decision that requires property owners to exhaust state court remedies prior to filing federal court takings claims. The SLLC filed a brief in support of the township and upholding the Williamson County case precedent. Nieves v. Bartlett contemplates whether the existence of probable cause to arrest someone defeats a First Amendment retaliatory arrest claim. The SLLC filed a brief backing police officer Nieves’ assertion that probable cause defeats First Amendment retaliatory claims. On September 25, NACo hosted a webinar on behalf of the State and Local Legal Center (SLLC) previewing the new term and highlighting cases most relevant for state and local governments accepted by the Supreme Court. Topics range from employment discrimination to preemption of state and local authority. To watch NACo’s SLLC Supreme Court Preview webinar recording click here. To view the webinar slide show click here. For more information or questions, please contact Daria Daniel, NACo Association Legislative Director, at ddaniel@naco.org or 202.942.4212. Daria Daniel is the Associate Legislative Director for Community, Economic and Workforce Development at NACo. Daria is responsible for all policy development and lobbying for the association in the areas of housing, community, economic and workforce development. The 2020 census is coming in a matter of months, not years, and time is running out for counties to be ready. The results of the census will determine how more than $900 billion in annual funding is allocated and congressional seats are apportioned, which could change in 13 states.